Great Gatsby! 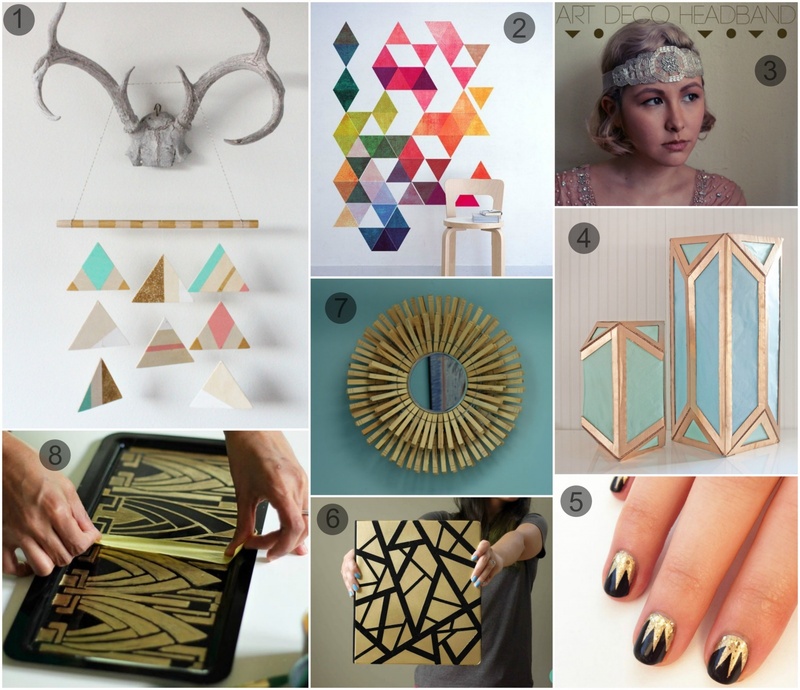 Looks like the Art Deco trend is here to stay so take a minute to get familiar with this look. This style is often characterized by rich colors paired with bold geometric shapes and often represents luxury and glamour. 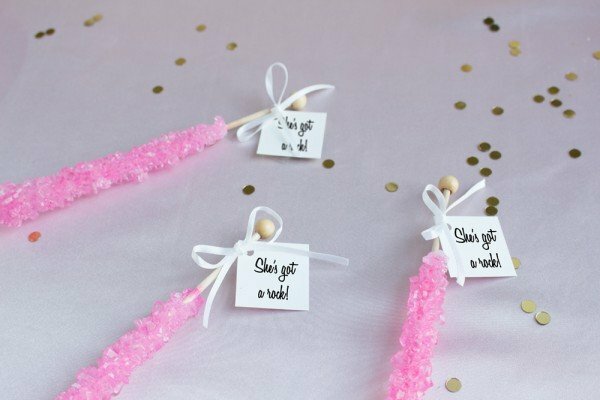 It’s an elegant look that beautifully decorates weddings, birthdays, and holidays. 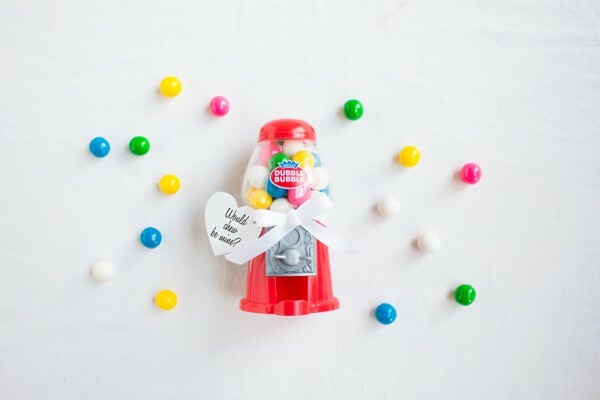 Add this special trend to your event with these easy DIY projects. 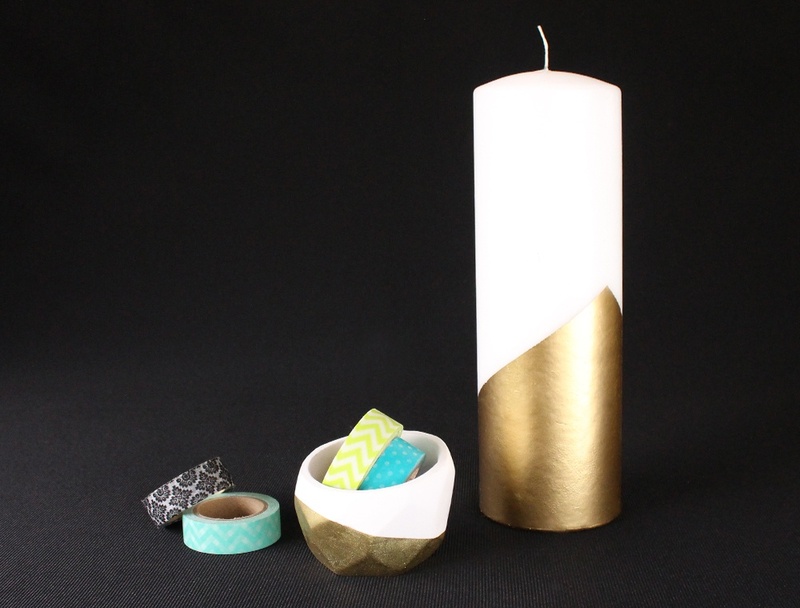 It’s easy to add a bold geometric spin to household items like mini planters and pillar candles with help from painters tape, saran wrap/newspaper, and gold spray paint. Simply tape off your item with an asymmetrical design, use saran wrap or newspaper to protect the unpainted area, and then evenly spray the exposed area. 1) Geometric Mobile/Wall Art: Learn how to make this DIY Art Deco project and use as a baby mobile or as wall art from Sugar & Cloth. 2) Geometric Focal Wall: Easily create your own focal wall with sticker decals. Find them at Moon Wall Stickers. 3) Art Deco Headband: Perfect for a Roaring 20’s party. Get the look from BuzzFeed. 4) Art Deco Cardboard Lantern: Add Art Deco pizzazz to your home with help from Etsy. 5) Gatsby Inspired Nail Art: Popsugar takes you step-by-step on how to achieve this nail look. 6) Geometric Binder Re-Vamp: The Minted Strawberry blog shows you how to get this look in three easy steps. 7) Sunburst Clothespin Mirror: This easy DIY mirror looks beautiful in any room of the house. Learn how to make it at Imparting Grace. 8) Art Deco Vanity Tray: A stencil and some gold paint is all you’ll need to get this glitzy look. Find it on HGTV.